IN THE NEWS AT TECHNOLOGY ASSOCIATES, INC.
Technology Associates has licensed some of our technology to a partner in China. This partner produces wind-up generator LED flashlights. The license allows for a product which combines their generator flashlights with the Derringer. The new hybrid is called GeneRay. We will be selling the GeneRay model X1 on our website here shortly. The GeneRay carries a one year warranty. Like the Derringer, it has two white and one red LED as well as all of the Derringer's functions. Besides the added functionality to the light, the power saving features of EternaLights lend themselves well to this combination because you can get a much longer run-time with less winding. Products which look very similar to the GeneRay are already on the market and some make remarkable claims like "One minute of wind-up provides up to 1 hour of continuous ultra bright light." Our tests showed this unit was only producing 50% of it's light output after only about 8 minutes and less than 20% of it's output in about 13 minutes! A gross exaggeration. For the GeneRay, we conservatively claim "Crank 30 seconds for over 30 minutes of light!" And, at the end of 30 minutes, we are still producing over 30%. Both tests were conducted with the same winding velocities for the same period on the lowest power settings of both lights. Both units were fully discharged before charging. Both units require the same mechanical energies for charging. So, GeneRay, like EternaLight products, under promises and over delivers. The X1 is also capable of using its generator to charge many cell phones in a pinch. We're excited to be introducing this product. We expect many more exciting products as we merge our technologies. See the GeneRay at InnoMep. Long before Technology Associates made EternaLights, we wrote software. DOS software. DOS has made somewhat of comeback recently and certain developments make it a viable platform again for particular purposes. We have dug up our old software products and projects and are releasing them for free! See the new item DOS software - FREE! under our products page. December 2005 - EternaLights in the movies! EternaLights have been in news papers, magazines, on radio and tv shows as well as numerous websites. But EternaLights have finally come to Hollywood! Well, except that Hollywood had nothing to do with the production of this movie. 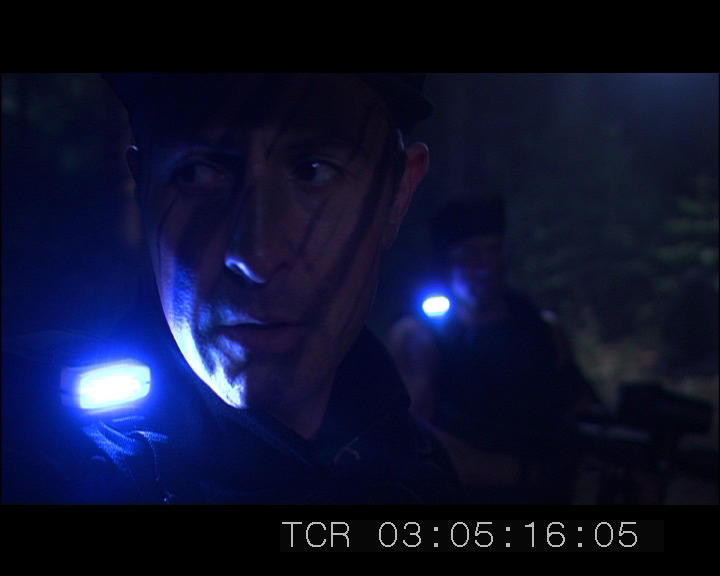 StagKnight is a horror comedy that is being produced in the UK and FEATURES ETERNALIGHTS! Rob Mercer, the movie's producer, requested permission to use the products in the movie sighting their unique tech-appeal. Rob has notified us that the movie StagKnight should be out in just a few more months. We'll be sure to post links here as they become available. 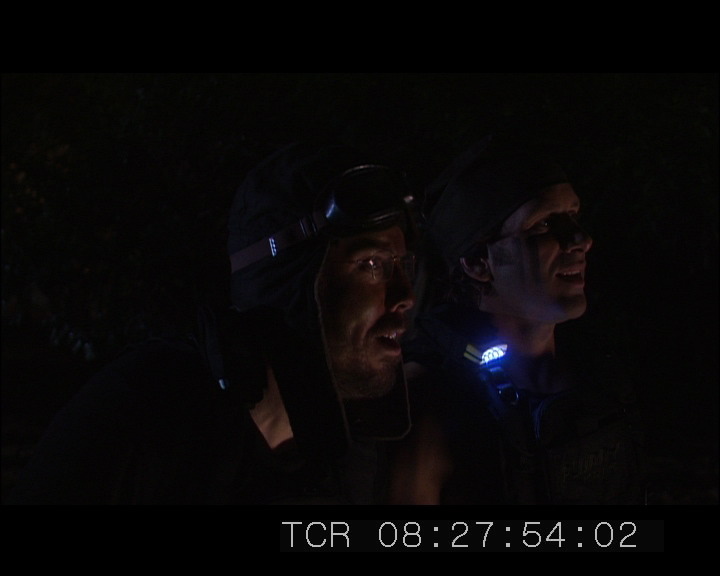 Here are some shots from the movie showing the eternalights in use. Rob sent us the script early on and looks to be a very entertaining movie. We're very anxious to see the release of this movie (for obvious reasons) and we wish Rob the very best!